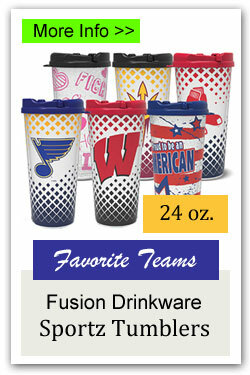 Tumblers are a Fun Fundraising Idea for Schools and Sports Teams! 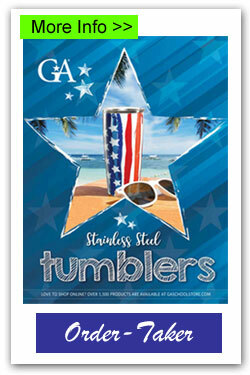 Tumblers are something that everyone uses and loves. 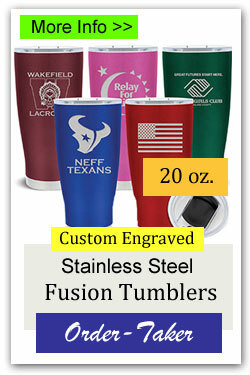 We have several options, including custom tumblers with your own team logo and order-taker brochures. 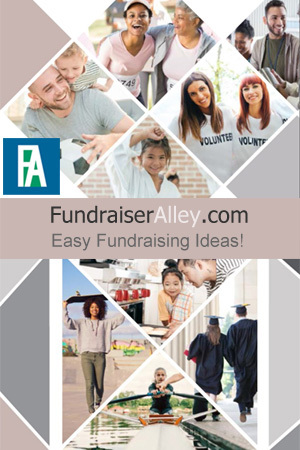 Tumbler fundraisers vary in that some are offered for you to purchase up front and others offer the popular order-taker brochures. 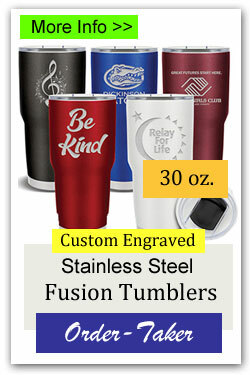 Most of these tumbler fundraisers include both options, purchase up-front and order-taker versions. 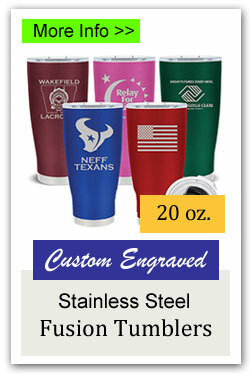 This is a great advantage, as you can have tumblers available to show customers when taking orders. 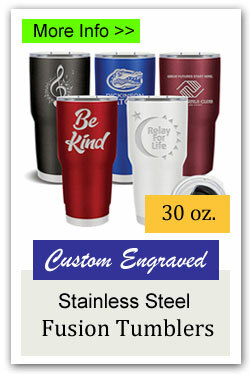 Choose your favorite Tumbler fundraiser below to find out more details. Most include option of up-front sale or order-taker brochure. Select a tumbler fundraiser with both options: purchase up-front and order-taker versions. You can have actual product on-hand, make direct sales and take orders. 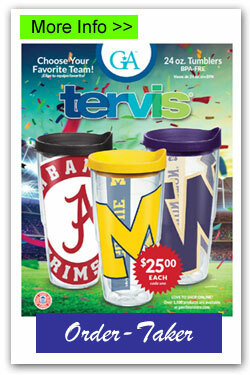 Sell tumblers at sports games and school events. 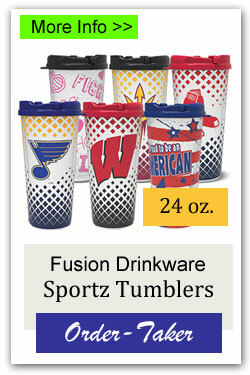 Sell tumblers from concession stand, with beverage added, at sports events.